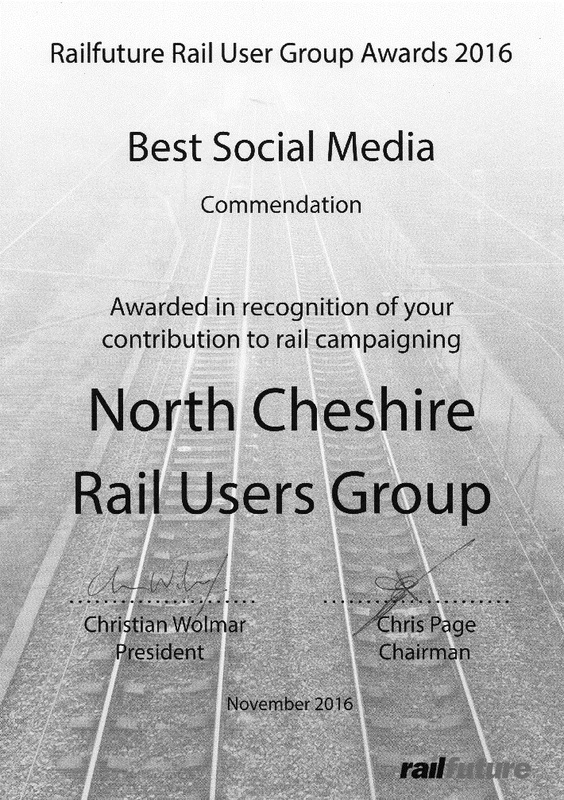 NCRUG is pleased to advise that they were awarded a Commendation for the "Best Social Media" in recognition of our contribution to rail campaigning at the RailFuture - HEART OF THE RAILWAY Conference in Birmingham last Saturday 12th November. The video features Graham Evans MP, who has lent his support to the reinstatement of Halton Curve. The line is on track to be reopened in December 2018. Since our last update following the Combined Authority approval in April work has progressed on closing out the GRIP 3 works which includes elements of outline design and the procurement for the delivery of the future phases.Another key step has been taken with contracts awarded, through Network Rail, to Babcock Rail and the S&C North Alliance to undertake the detailed design and construction of the scheme.